NEW ORLEANS — The annual Humana Rock 'n' Roll marathon series is once again making noise in the city this weekend. The series kicked off on Saturday at 8 a.m. with a 5k through the French Quarter and Center Business District. A 10k race is set to kick-off Sunday's events at 7 a.m., with a half-marathon and marathon starting shortly after. With races all day and runners from around the region in town for the occasion, drivers should expect delays from traffic and street closures around the courses. 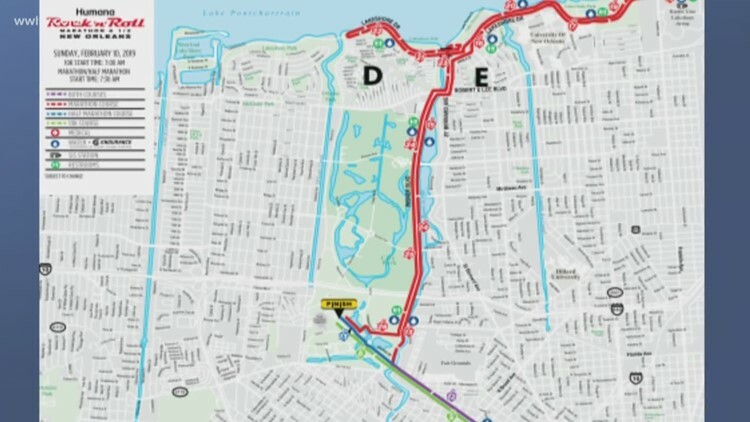 You can see each course for the race on an interactive map here.